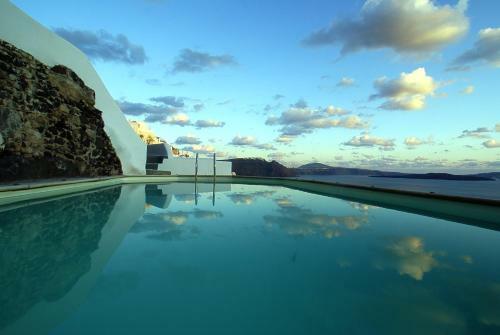 Perched on the caldera cliff side in Oia in Santorini, Anemi House offers panoramic views of the Aegean Sea. Including a sun terrace, garden and balcony, it is 10 metres from the famous sunset spot of Saint Nikolas Castle. Featuring an outdoor pool with sun beds and umbrellas, Joanna Villas is 80 metres from the black sandy Kamari Beach. The air-conditioned accommodation looks out onto the garden and pool from its balcony. In Akrotiri, next to the Venetian Castle and very close to the prehistoric settlement, lies Thira's Dolphin. The traditional settlement is situated only 1 kilometre from the famous Red Beach. 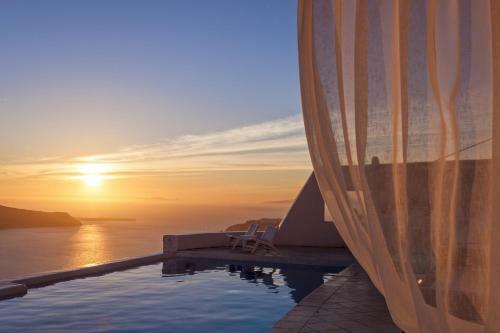 Timedrops Santorini is a cluster of 5 traditional luxury villas located in the preserved settlement of Emporio. Set on uneven levels on the slope of a hill, the villas offer private pools and panoramic views of Kastelli and the sea. Villa Dimitris is located in a quiet area only a 2-minute walk from Perissa�s beach. It offers free wireless internet and free transfer to/from the port and the airport. The complex consists of 14 spacious and air-conditioned rooms and studios. Sweetheart Studios are just 200 metres from Kamari beach. The complex offers self-catering studios with balconies overlooking the pool and the garden. 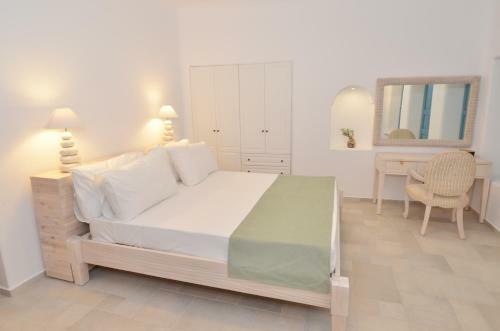 Villa Danezis features air-conditioned rooms along with free Wi-Fi and parking. Each room has a private balcony, some offering sunset views. It is 3 km away from Fira. All rooms have a minimalist d�cor and have en suite bathrooms. 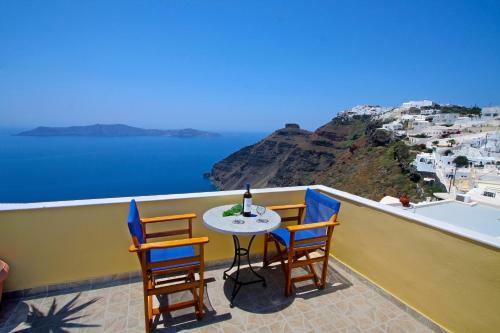 Located in Oia, these Santorini Apartments boast local character, hand-crafted furniture and private verandas overlooking the volcano and the sea. The complex offers a sea-view swimming pool, a pool-side bar and free Wi-Fi throughout. 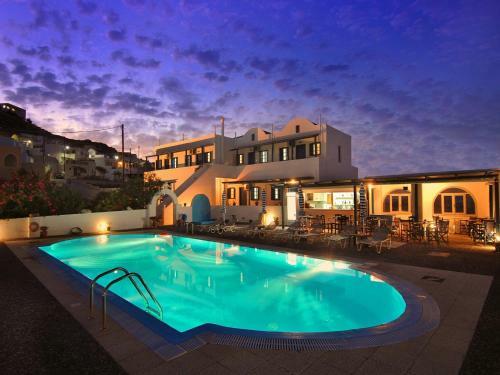 Conveniently situated with easy access to the shops and nightlife, very reasonable prices combined with a superb location make this family-run hotel the obvious choice for your stay in Santorini. Just 30 metres from Perivolos Beach, Black Rose offers modern Cycladic-style suites most with a private pool. The communal pool is surrounded by a wooden deck with sun beds and grass umbrellas. 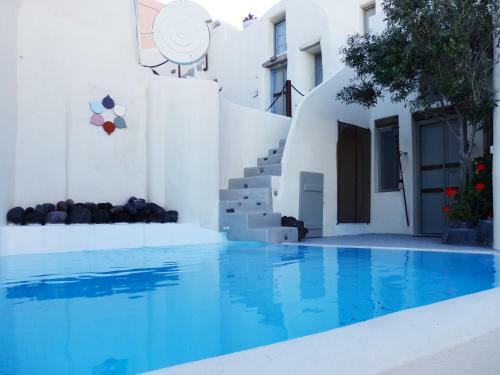 Csky Luxury offers luxurious accommodation in Imerovigli, Santorini�s most picturesque village, located on the main road to Oia. It offers 4 outdoor pools, full 24-hour in-room and poolside dining service. 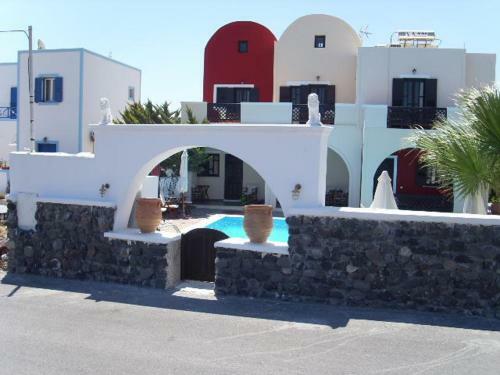 Anna Pension, located in the village Karterados, offers friendly and familiar hospitality within a short distance (1.5 km) from Santorini�s capital, Fira. Free Wi-Fi access is offered throughout.